Trade shows are packed with competition. And they’re not cheap. Standing out, in the right way, where you will be remembered and praised, is more than a challenge. Using a touch panel PC can help you do that. That’s not just because it gives competence and cutting-edge, but it’s fun for the people you’re there not just to engage, but win over. Cutting-edge, competent and fun… That equals memorable and more: compelling. And that leads to more business, the reason you’re there. 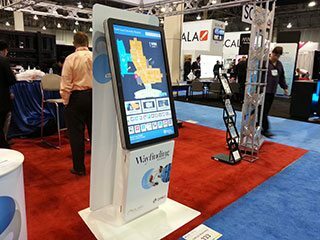 How Can You Dominate On Trade Shows By Using Touch Panel PCs? Let your business be a real magnet. Touch panel PC says and does all that. Potential clients and customers expect the convenience, ease of use and instant results of leading technology. 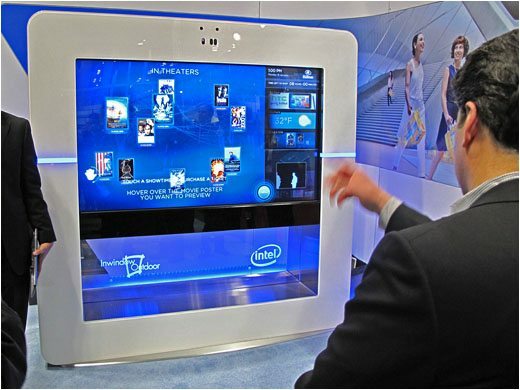 Many companies and brands showcase them in computer kiosks, which is an embedded touchscreen computer in a locked, durable cabinet that is connected to everything happening in the trade show and the world through the venue’s wireless internet. Computer kiosks can be used all day and night and easily setup. They also do not need to be manned. This saves you money because you can bring less staff. Touch panel computers are the best way that you can feature eye-catching and intriguing displays. These touchscreen computers offer the best ways to utilise the power of 21st Century computer graphics and video technology. It increases your ability to incorporate creativity, which is so important to standing out and best showcasing your products and services. Traditional brochures and collateral are commonplace, tired and limp in comparison. After all, what does creativity say? That you can think out of the box and innovate to find the solutions to needs and problems people have. Be inspired with confidence. It helps set you apart from the outset simply by establishing your expertise through the cutting-edge frame around your brand. This is a tremendous edge, the 21st Century stage businesses need to stand out. Touchscreen devices empower potential customers and clients to get information about you and your product or service in a way that is not only innovative but is interactive. In line with how we have to come to live in a world dominated by touch screens, and the instant satisfaction of our curiosities, we give consumers the world where we don’t want to be pitched, but prefer to explore for ourselves first. In this way, such touchscreen panel devices are becoming a mirror of social media, both availing and embodying the heart of the incredible combined power of the powerhouses of social media, from Facebook and Twitter to YouTube and Instagram, all of which you can incorporate into your touchscreen panel display. Amongst many things, this helps you meet potential clients and customers where they live and learn. Because of the power of the hi-tech tools it incorporates and showcases, touchscreen panel PCs draw traffic. This alone empowers. Even more empowering is that you are now free to maximise the power of your personal presence, further engage potential clients and customers by answering their questions. All can happen after you’ve had the unique and rich opportunity to patiently watch them engage with what you have displayed on the touchscreen panel about your brand. In sum, it furthers the transition that the disruptive technology of social media has made standard, the transition from push to pull. It’s what people expect more than ever before, to call the shots on their choices feeling no pressure, but informed, comfortable and enchanted, that they have decided for themselves. So power up your trade show presence. Stand out. Consult a touch panel PC expert today.